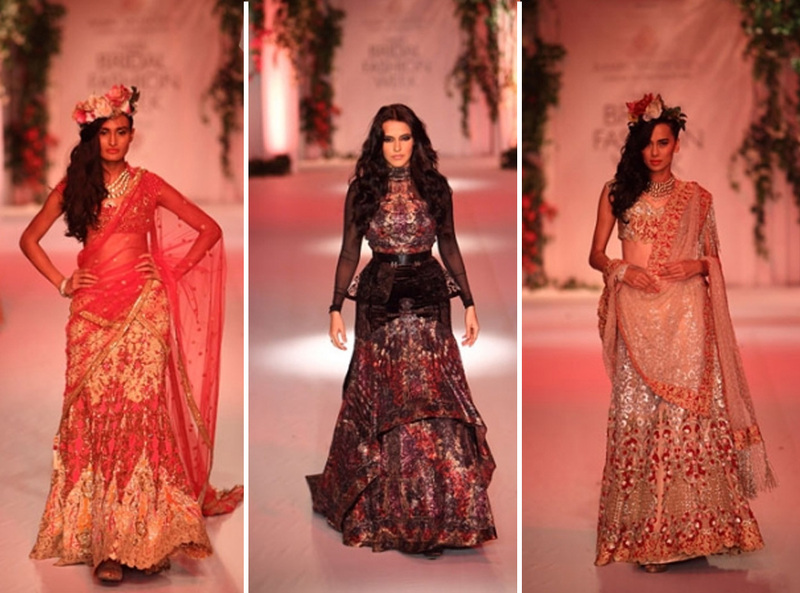 I’ve already been pretty vocal about my opinion on Falguni & Shane Peacock’s work here and their latest offering hasn’t made me change my mind. 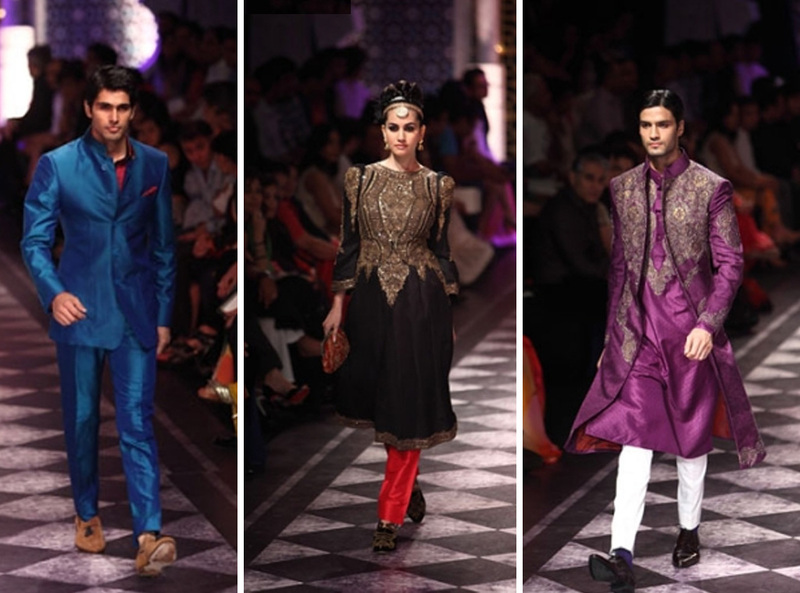 They are two of India’s greatest design talents and their talents lie in non-ethnic wear. 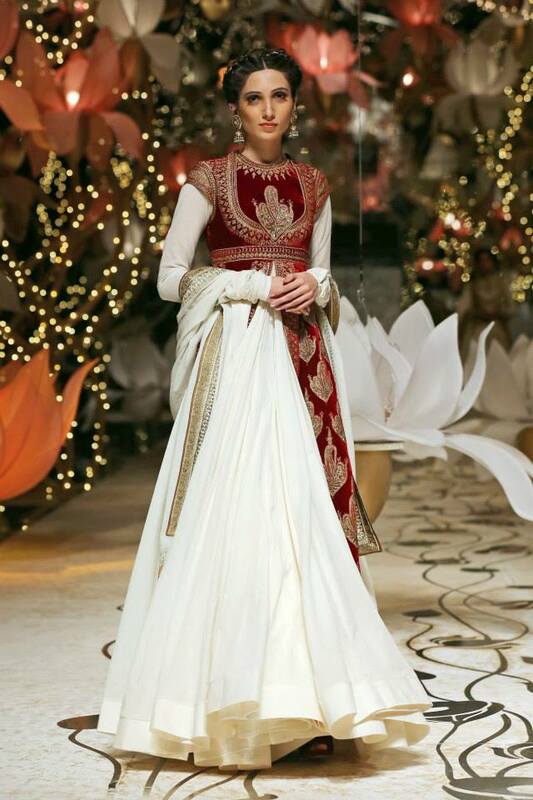 Their ethnic wear is just soooo bland in comparison and so different to their mainline style! I’m grudgingly posting a few pics from the show! 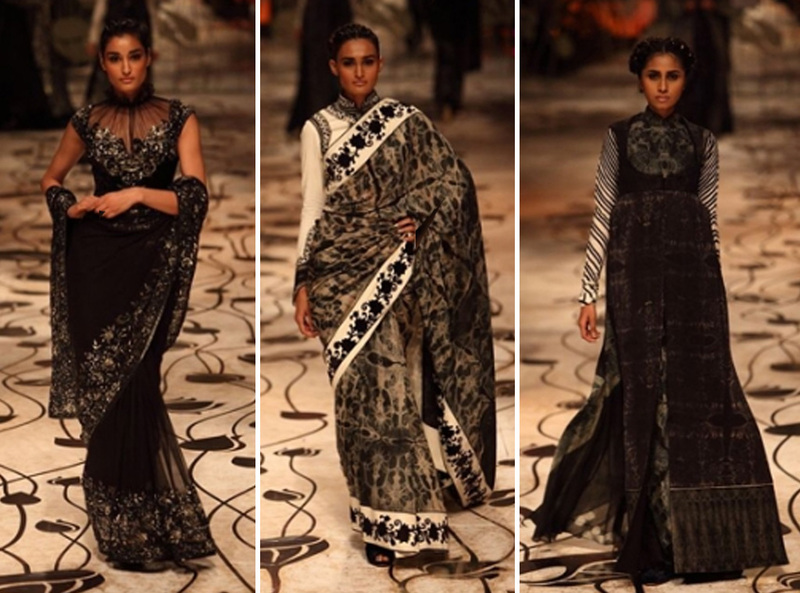 Overall, I have to say I wasn’t keen on Raghavendra Rathore’s collection. 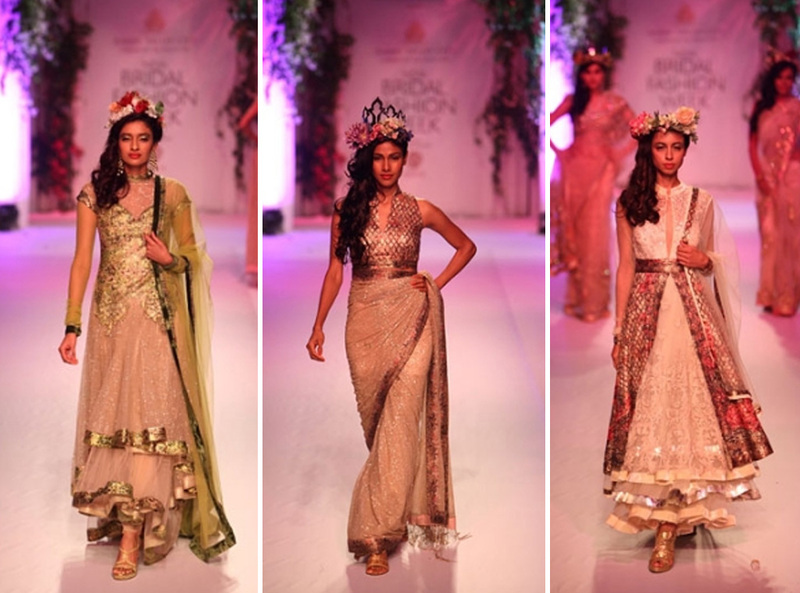 Although the antique gold embellishment was beautiful the fact that it was pretty much the only type of embroidery in the show made it become a little monotonous. 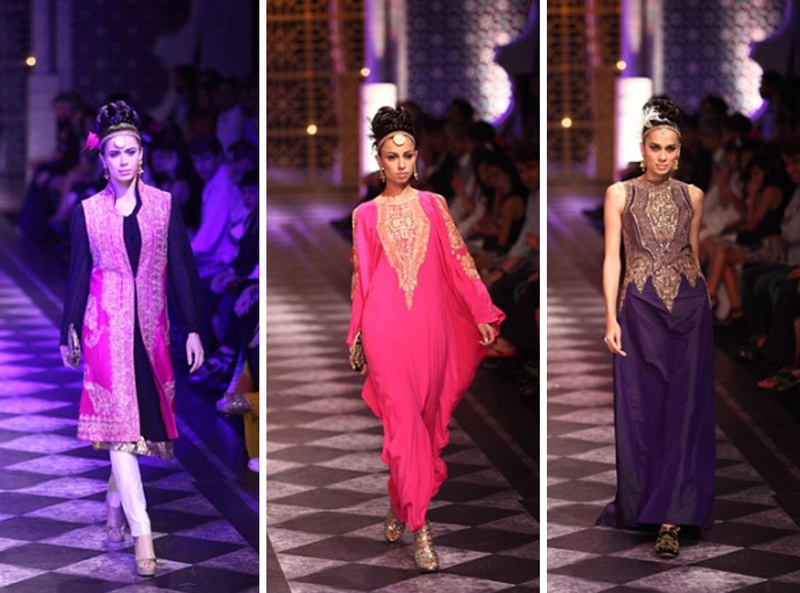 I did like some of the more Middle-Eastern silhouettes- the Kaftans and Abayas not sure if they were really Bridal wear though. 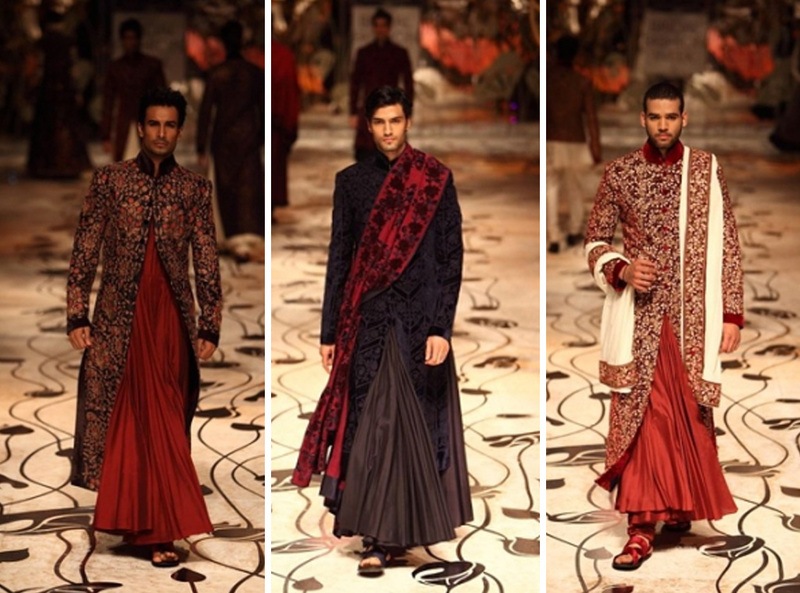 And the menswear- hmmm, I like the fact it was different but whether it was good different I’m not sure. What do you make of the collection? 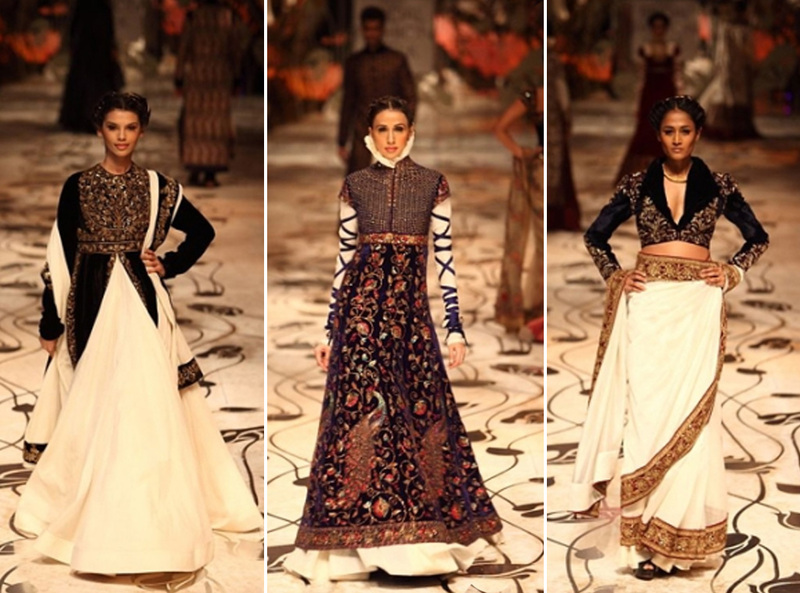 Rohit Bal’s show was OMG, WOW, WOW, WOW! 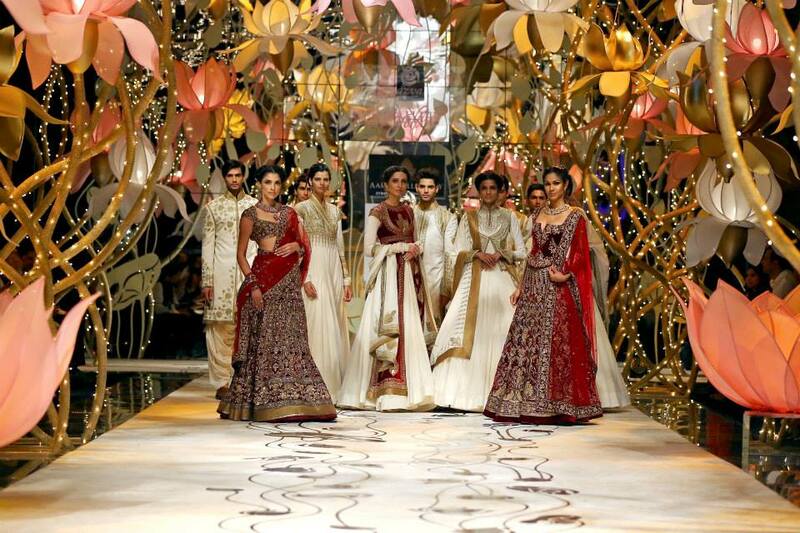 Now this is what you call a Bridal collection. 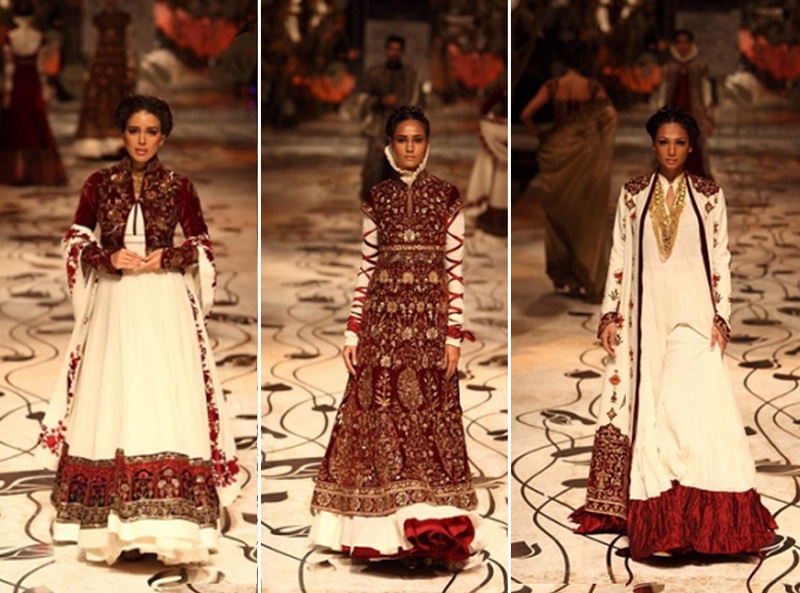 Beautiful Victoriana influences met with regal Indian colours, embroideries and silhouettes that just screamed LUXURY. Enough of my babbling enjoy the pictures! Love the sheer high neck detail on the blouse on the left and the dreamy tone on tone tie dye.